Up until the end of June, if you buy a NIP + FAB Viper Venom anti-wrinkle facial or eye serum, you’ll score a free Viper Venom body serum*. This actually arrived with jelly anacondas which I ate within two seconds of opening the press pack. Thus, my substitute sour worms o’ death. 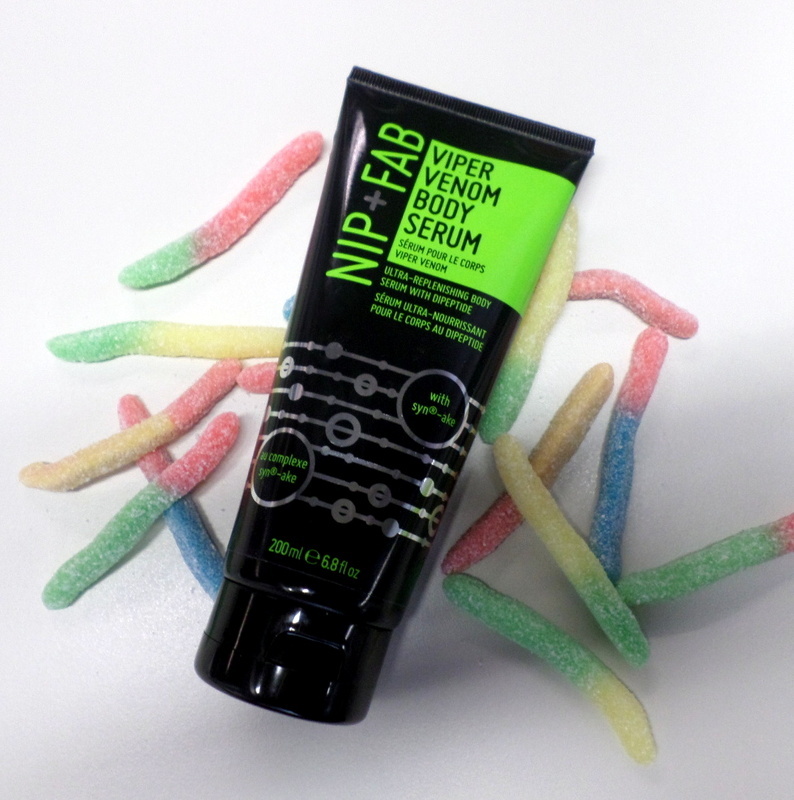 NIP + FAB’s Viper Venom range makes use of Sy-nake, a tripeptide mix that claims to relax your muscles in a bid to minimise the look of wrinkles, much like Botox. I don’t really know much about this ingredient but found a smattering of unbiased info over here. Anyway, while you’re browsing the NIP + FAB aisle, take a look at the brands’ Glycolic Fix scrub – it’s hands down the best exfoliator you’ll buy in a drugstore in that it’s actually nice and scrubby. Another NIP + FAB favourite of mine are their Glycolic Fix exfoliating facial pads. I wrote a snippet about it a while back for All4women.co.za and you can check that out over here. *This special is exclusive to Clicks, as is all NIP + FAB products.